French pharmaceutical giant Sanofi on Monday rejected a Philippine government demand to return tens of millions of dollars paid for a dengue vaccine after the programme was suspended over health concerns. The Philippines had asked Sanofi to refund 3.2 billion pesos ($62 million) spent on injecting more than 830,000 schoolchildren with Dengvaxia after the company said last year the vaccine could worsen symptoms in some cases. Sanofi last month agreed to reimburse the Philippine government half the total sought, for leftover doses of Dengvaxia. But it said Monday it would not pay for doses that were already used. “Agreeing to refund the used doses of Dengvaxia would imply that the vaccine is ineffective, which is not the case,” Sanofi Pasteur said in a statement. The refund offered for unused Dengvaxia doses was not due to safety or quality concerns but simply to show that the company was cooperating with Manila, the French pharmaceutical giant added. Dengue or haemorrhagic fever, the world’s most common mosquito-borne virus, infects an estimated 390 million people in more than 120 countries each year and kills more than 25,000 of them, according to the World Health Organization. The Philippines has one of the world’s highest dengue fatality rates with 732 deaths last year, the country’s health department said. The country launched the world’s first public dengue vaccination programme in 2016. It was halted last year, along with Dengvaxia sales, after Sanofi warned the injections could make symptoms worse for people who contracted the disease for the first time after being injected. 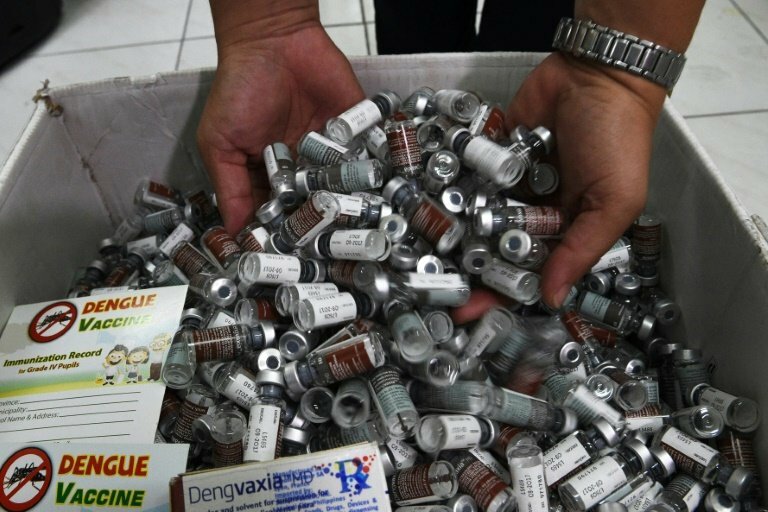 The announcement caused panic among parents of injected children, said the government, which has since began investigating Dengvaxia’s alleged role in the deaths of at least 14 vaccinated children. Sanofi denies responsibility. Health officials also said immunisation programmes for other preventable diseases were suffering, with many parents now wary of vaccines in general. On Monday Sanofi rejected a separate health department request to set up an indemnification fund to cover the hospitalisation and treatment for vaccinated children who contract severe dengue. The government’s Public Attorney’s Office said Monday it is helping a Manila couple file a civil suit seeking 3.768 million pesos in damages for the death of their 10-year-old daughter last December. The suit will name officials of Sanofi, its Philippine distributor and current and former health department officials as responsible for their child’s death, according to a copy of the complaint released to the press. The Public Attorney’s Office said it received orders from the justice ministry last December “to extend free legal assistance in civil, criminal and administrative cases to all possible victims of Dengvaxia-related injuries, illnesses and deaths”.